New Friend: So where are you from Thao? NF: So where is the best Vietnamese restaurant in Louisville? I love food too, thus this usually leads to an epic conversation about Vietnamese eateries and foods in general. So new friends, let's get this Vietnamese food conversation out of the way. I love lists but I’m hesitant to make a list of “Best Vietnamese Foods in Louisville” because everyone’s taste buds are different. 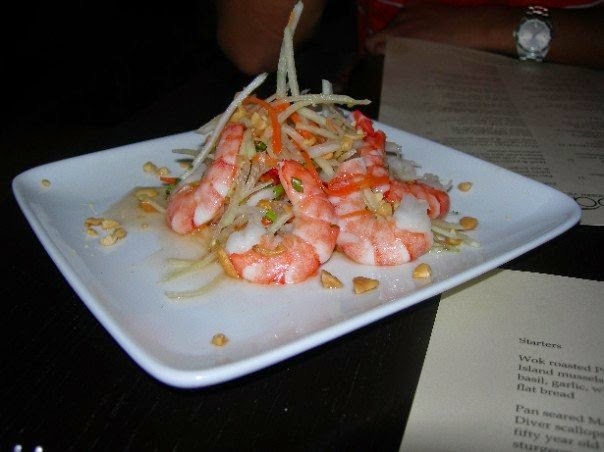 Instead, here is a list of Vietnamese foods for different types of personalities. For the Authentic Vietnamese: If you’ve grown up eating Vietnamese food or enjoy the weirder side of Vietnamese food, this is for you. Service at these places is usually sparse. 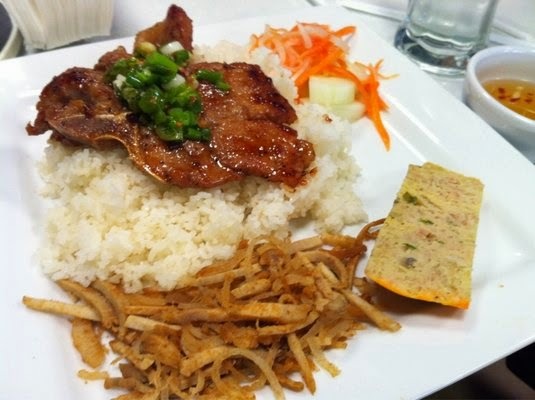 Thuy Van Café $ | 5600 National Turnpike #3, Louisville, KY 40214, (502) 366-6959. This place has the best and most authentic Vietnamese food in town, 90% of patrons at this restaurant are Vietnamese. The menu is smaller but the pho, soups and other traditional dishes are prepared as they would be in Vietnam, with lots of flavor and authentic ingredients. You’ll find pork feet and blood sausage in your Banh Canh Gio Heo, tripe with your Pho or a side of fermented shrimp paste with your Bun Rieu. For the less adventurous, the Vietnamese sandwich, Grilled pork with rice or noodles, are delicious alternatives. A-Chau Restaurant $ | 5103 S Third Street, Louisville, KY 40214, (502) 364-4262. 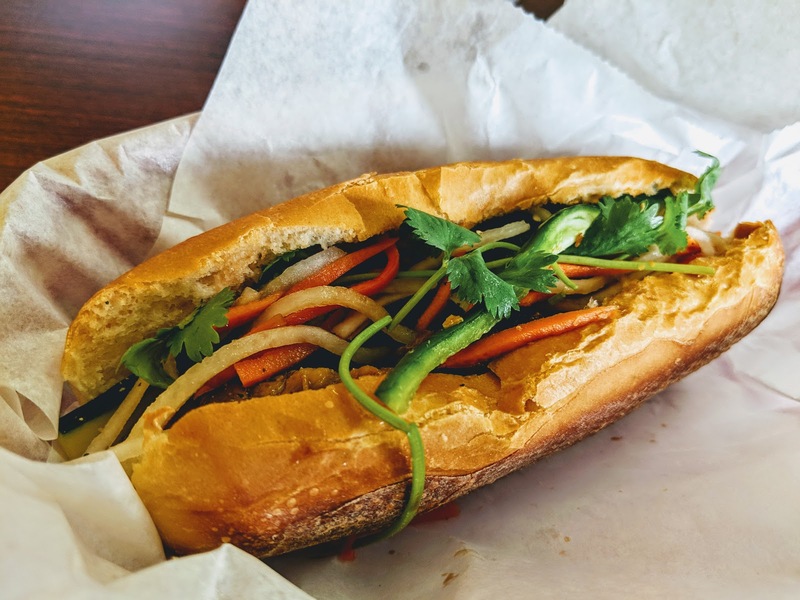 A Chau is the newest addition to the Vientnamese food scene in Louisville and worth a trip to south Louisville to check out. I do have a personal connection here but trying to be as fair as possible. I wasn't wild about the food initially, but after a few recent changes I can honestly say that I am enjoying the food a lot! My husband's favorite is the banh mi thit nuong (grill pork sandwich), it's crunchy and crusty on the outside loaded inside with grill meat, picked daikon and carrots, and the usual toppings. 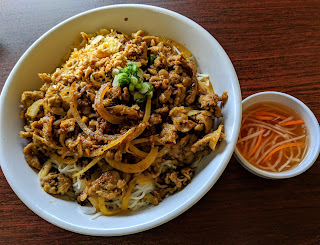 My new favorite is the grilled lemongrass pork vermicelli bowl, the meat is savory and flavorful there's lots of it! My sister says the pho is just like mom's, so check it out. Da Lat's Gateaux and Bakery | 6915 Southside Dr, Louisville, KY 40214, (502) 368-9280. This is a bakery so there are many French influenced baked goods and sweets, Vietnamese snacks and drinks. You’ll get decent banh mi and smoothies here. My favorites: the bacon buns, pate chaud and cha oc (snail sausage). For the Newbies: If you’ve never had Vietnamese foods before or are new to Vietnamese foods, these are safe bets. I compare them to burgers at McDonald’s versus burgers at your local restaurants, still good burgers with all the basic ingredients but lacks authenticity and oomph. 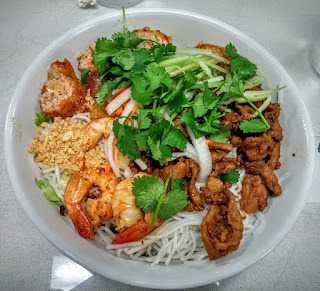 Rice vermicelli bowl from Vietnam Kitchen. 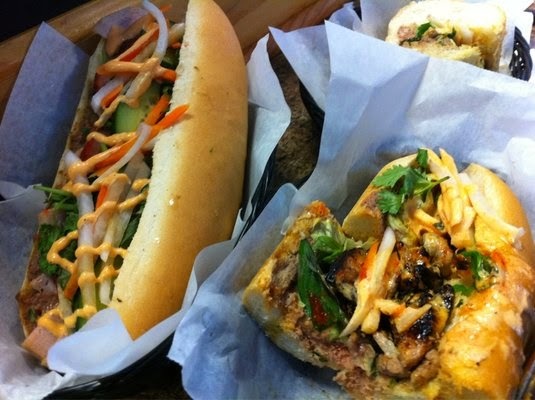 Vietnam Kitchen $: 5339 Mitscher Ave, Louisville, KY 4021, (502) 363-7535. Annie’s Café $: 308 W Woodlawn Ave, Louisville, KY 40214, (502) 363-4847. A smaller version of Vietnam Kitchen but Annie’s has some Chinese dishes on the menu. Annie is the friendliest owner, always full of smiles and conversations. The menu slightly smaller but the food is good. I like her soups better thank VK's. Mimosa Café $$: 1543 Bardstown Rd, Louisville, KY 40204, (502) 459-1259. Conveniently located on Bardstown Road, Mimosa is the largest in size but provides a feeble introduction to Vietnamese food. They have a large Chinese menu as well (I think the owner is Chinese). The food is just okay and not my go to place when I crave Vietnamese Food. La Que $: 1019 Bardstown Rd, Louisville, KY 40204, (502) 238-3981. Also by the same family that runs Lemongrass. The menu includes a good number of Thai dishes. The food is decent and worth a try. Pho Ba Luu $$: 119 East Main Street, Louisville, KY 4020, (502) 384-6822. If you are Vietnamese or are used to eating authentic Vietnamese food, you won't like this place. If you've had Vietnamese food casually, chances are you would like that they have to offer. This is my least favorite in town, the pho is bland and the meat in the banh mi has little flavor. The restaurant itself is beautiful and the staff is friend. But expect to pay more for the food because of the Nulu location. Pho Cafe $$: 1704 Bardstown Road, Louisville, KY 40205, (502) 916-2129. This is another new addition to the Louisville scene, conveniently located on lively Bardstown Road, right next door to popular Sapporo's. I haven't been here yet so can't report, but friends say it's not as good and expensive for what it is. 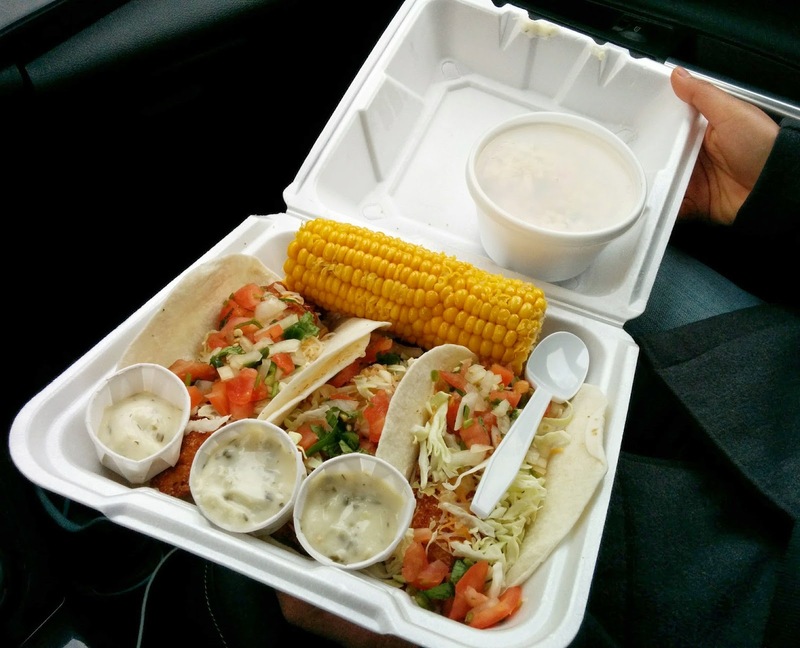 For East Enders (St. Matthews, Middletown Areas): The prices are steeper, the food are more Americanized but conveniently located so you don’t have to trek across town to South Louisville. To be fair, I’ve never been to these three places so can’t write too much about them. From what I’ve heard and saw on Yelp, Vietnamese don’t like them but American visitors enjoy them. For Funky Fusion Fanatics | Health Nuts. These restaurants take a basic Vietnamese dish and reinventing it or adding their own flares. The result is a tasty version of something that’s inherently Vietnamese, but not really dishes you’ll see in the streets of Vietnam. 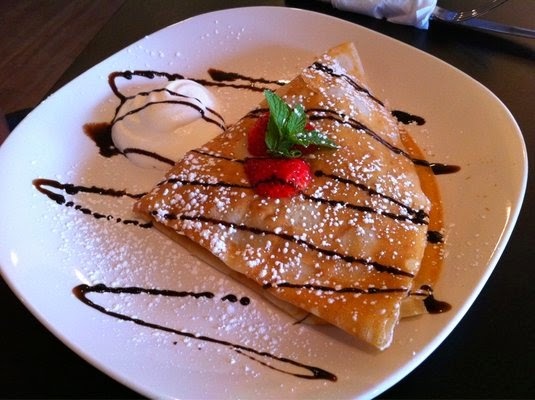 Ngon Appétit $$: 1991 Brownsboro Rd, Louisville, KY 40206, (502)-822-3377. Former Four Sisters closed up shop on Frankfort Ave and moved here to Ngon Appétit offering their usually favorites such as coffee, crepes, banh mi and now with the addition of Northern style pho (no hoison sauce, bean sprout or herbs). I haven't been yet but since it's still the same owners, I can venture to guess that their crepes and banh mi's are still delicious, though on the pricey side because of the neighborhood. Heart and Soy | Roots $$: 1216 Bardstown Road, 502-452-6688. The focus here is more on healthy vegetarian eating, so some dishes came from a Vietnamese idea, but the ingredients make it into something different. Zen Garden$$: 2240 Frankfort Ave, Louisville, KY 40206, 502-895-9114. My favorite Vegetarian restaurant in town. 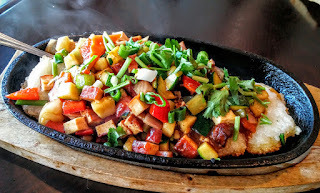 There are many vegetarian versions of traditional Vietnamese dishes as well as Chinese dishes. The Fried Shiatake is my favorite. **A little bit about the Vietnamese community here. There are more than 10,000 Vietnamese living area, concentrated around 3rd Street + Southside Drive (South End of Louisville). We are currently the second fastest minority group in Louisville, after Hispanics. Check out this website to learn more about the stories of Vietnamese living in Louisville and here for the Vietnamese Community of Louisville Facebook Page. 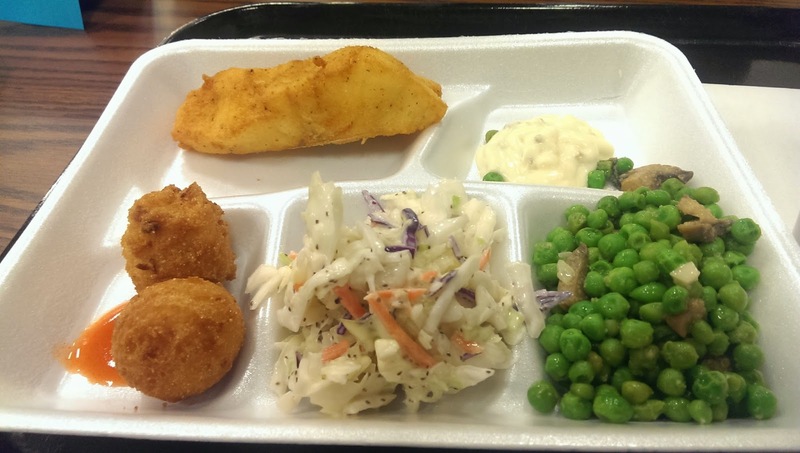 My first hometown adventure this year is to scope out the best Fish Fry locations in Louisville for Lent. 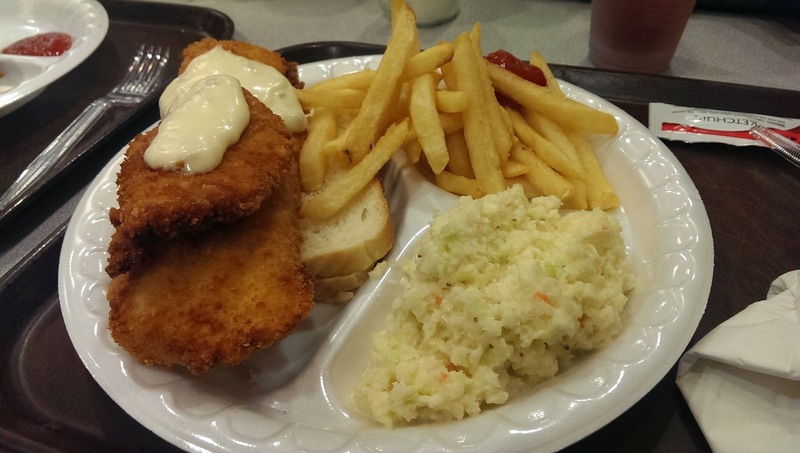 The six weeks or so between Ash Wednesday and Easter (3/5-4/11 this year) is the perfect time to enjoy cheap and delicious homemade fried fish and side dishes throughout Louisville at various catholic churches. These events are open to the public on Fridays, so don't be shy if you're non-catholics. How it works: 1) Look for a large print out menu, usually posted on the wall 2) Place your order with a volunteer, at a table or standing in the hallway. They will have a small order form with them 2) Pay, cash only! 3) Bring your order form to the food line to get your food. St. Augustine - 1310 W. Broadway, Fridays 11 a.m. - 6 p.m. 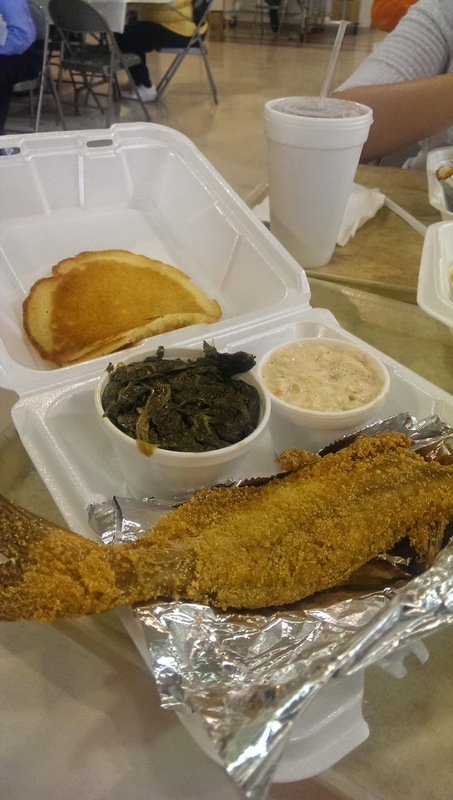 Located in the West end of Louisville, this is the most popular Fish Fry, the 30-40 minute wait during lunch hour is a sign of its popularity. this place has the most extensive menu, with four different fish options, a lot of southern side dishes and sweets (cobblers!). 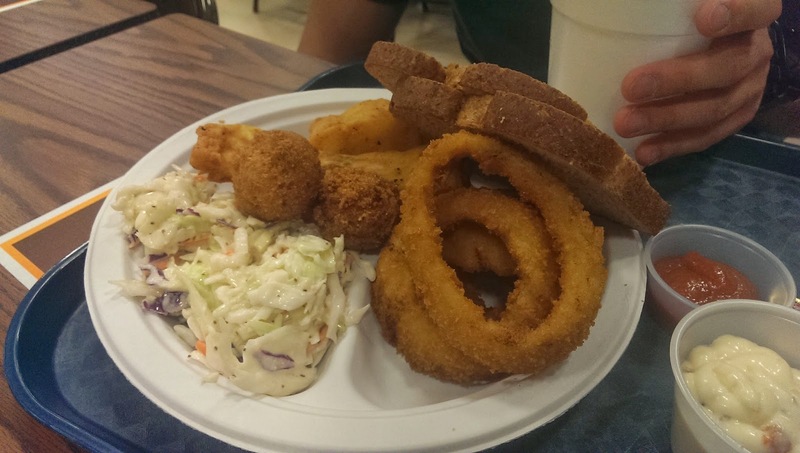 For $9, you get a choice of fish, cornbread and 2 sides. The place is organized chaos, a line to order, one to pay and to pick up the food. But the food is worth it. St. Agnes: 1920 Newburg Road, Fridays 5 p.m. - 8 p.m. Located in the Highlands, this place has the cheaper menu than other places I've been to, $4 for fish, and side dishes are from $1-$2. The fish is fresh and large. My favorites: the poppers (fried cheesy jalapeno) and coleslaw. St. Bernard's Catholic Church: 7500 Angelo Drive, 40228 5 p.m. - 7:30 p.m. Twisty winding roads led us to this treasure of a fish fry this week. We were happy to see something different on the menu, fish tacos! 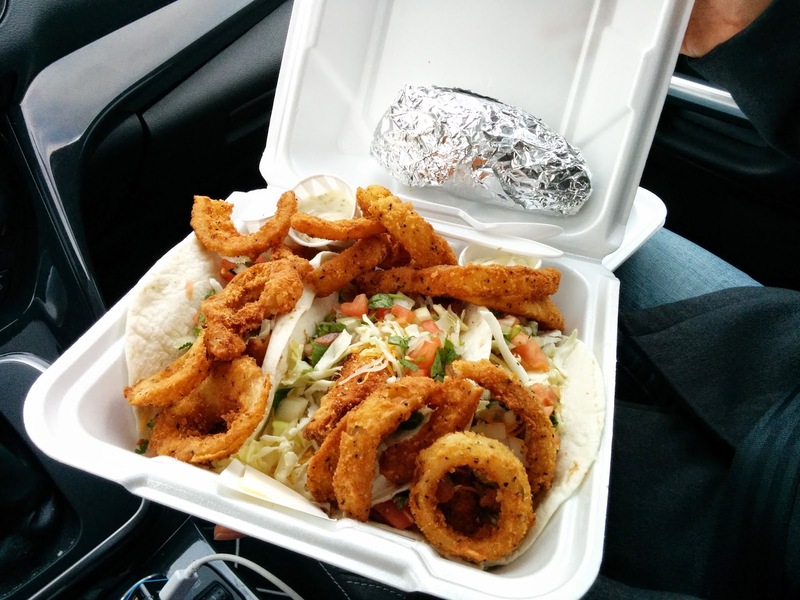 $10 for three large fish tacos, 2 sides and a drink. My husband was immediately in love. The place was crowded and there was even a band playing. Not sure if it's true, but someone told me the breading is from Mike Lining's. c) St. Martin de Porres: Soul food! My mom blamed my dad for it. I silently thanked him everyday. I was eight years old when my dad took me on my first trip out of our small village, a week by the ocean and another in the mountains. I still remember the wonder of seeing the ocean for the first time and feeling invincible standing in the clouds and seeing miles of green beneath. Ever since, I have this insatiable thirst for traveling that had became an intrinsic part of who I am. Twenty two countries and countless adventures later, I've made Kentucky home. This is where my heart is. It has been my home base for traveling in past years but this year I won't be able to travel internationally. So my goal this year is to be a hometown tourist and to explore and share hidden parts of Kentucky with the rest of the world. Last year, Louisville, Kentucky was named as one of the top 10 travel destinations in the United States, http://www.lonelyplanet.com/american-samoa/travel-tips-and-articles/77583. The booming bourbon industry, lucrative horse racing culture and the emerging foodie scene make it an attractive destination for many. There are already a lot of amazing sites already dedicated to the mainstream tourist attractions. So I won't focus on those. I'm more of a backdoor traveler, more interested in discovering the off the beaten tracks destinations, cheap/good places to eat, small local venues, etc. So if this is your style, join me on my adventure to discover my sweet Kentucky home this year!